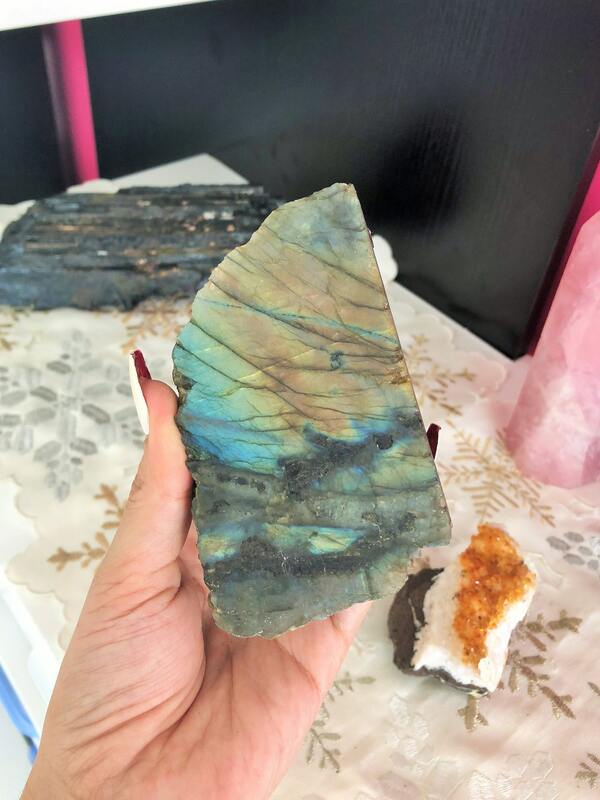 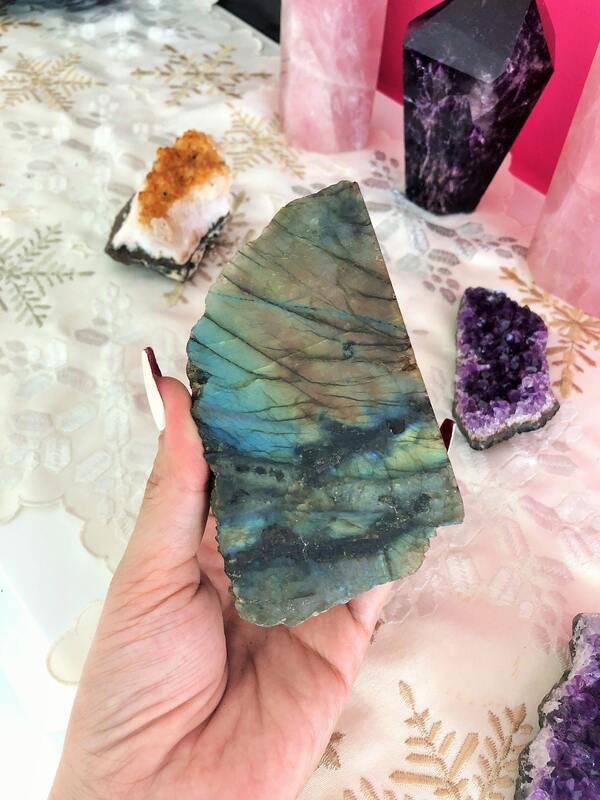 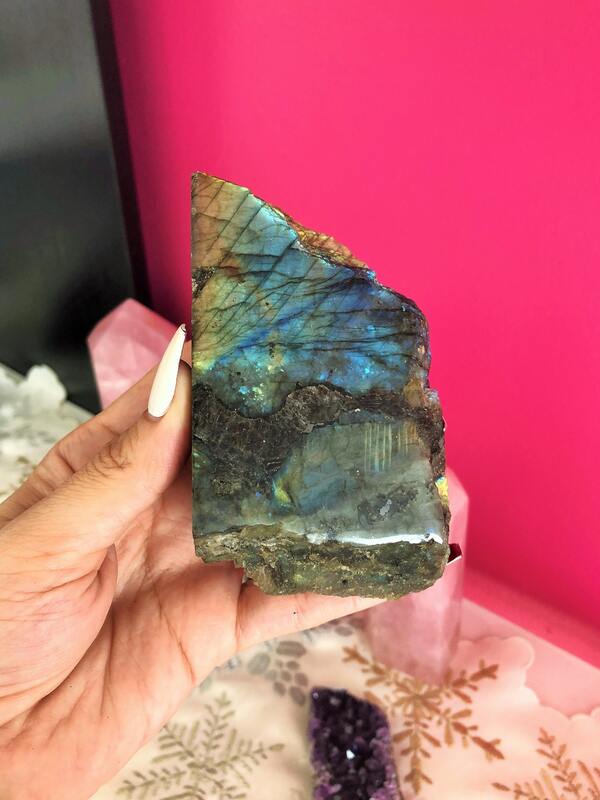 Receive this beautiful Labradorite mystical stone. 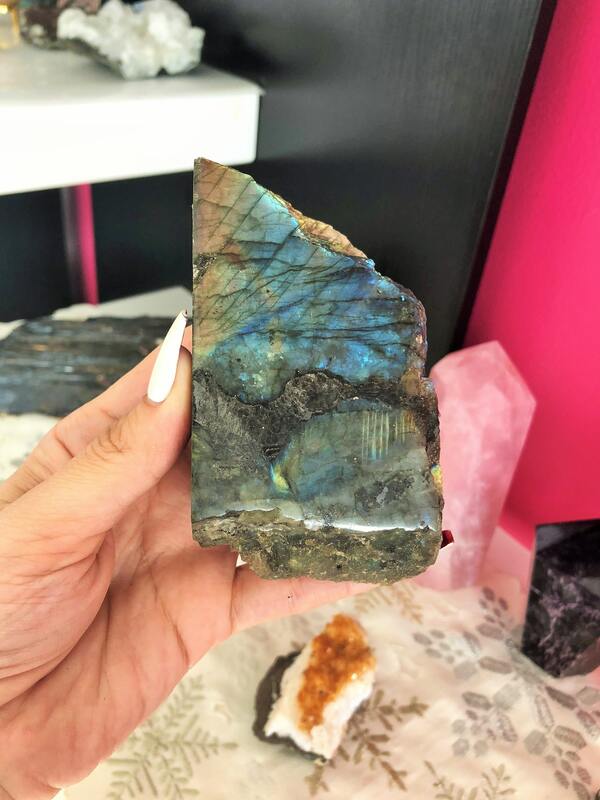 Labradorite increases intuition, psychic development/abilities, esoteric wisdom, helps you deal with subconscious issues, and provides mental clarity. 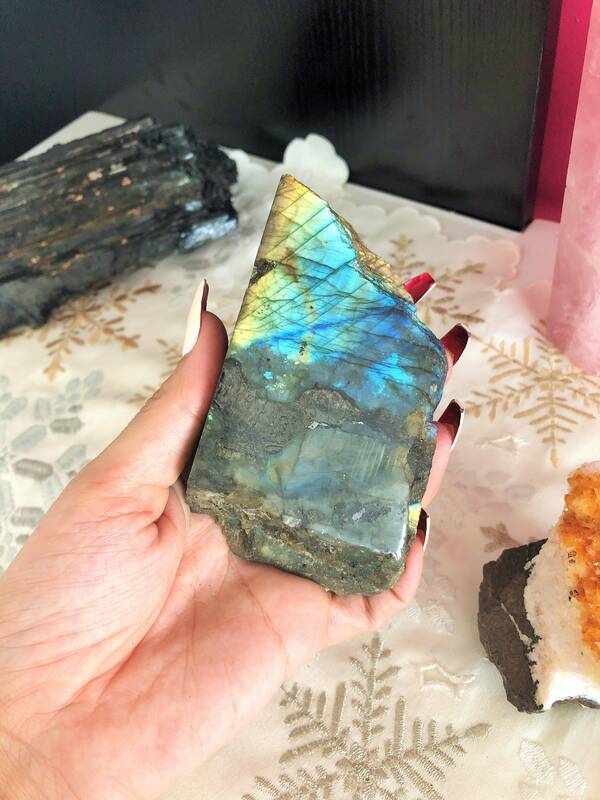 Labradorite Stone opens all the chakras and aura. 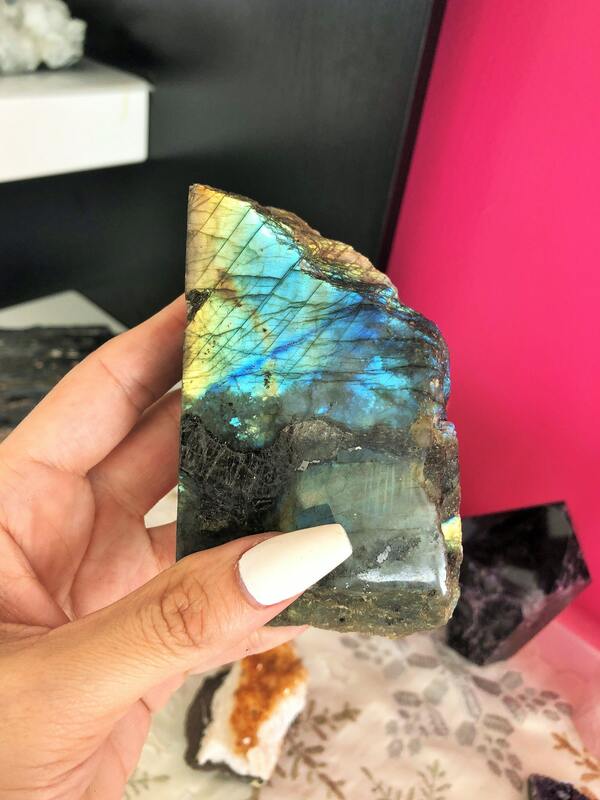 Due to its rainbow of brilliant hues, this magical gemstone helps to purify your energy and connect you with the energy of the light. 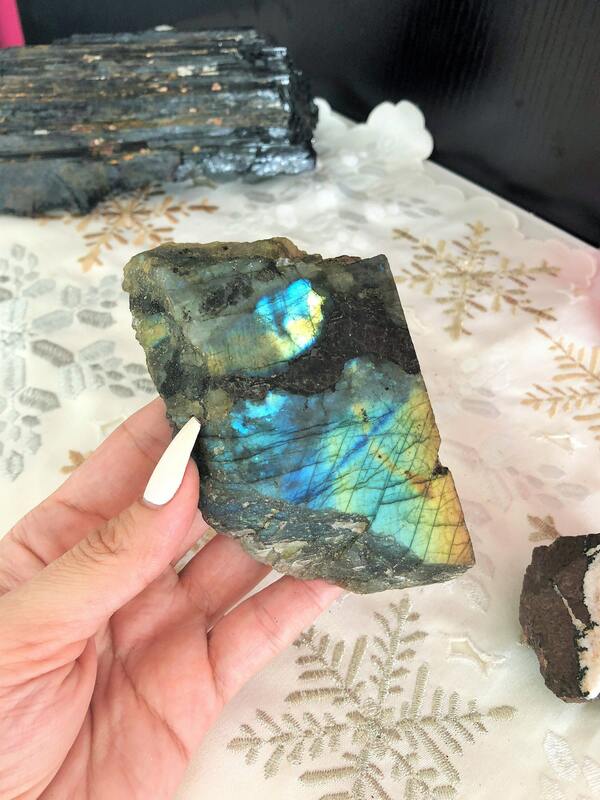 Beautiful iridescent stone. 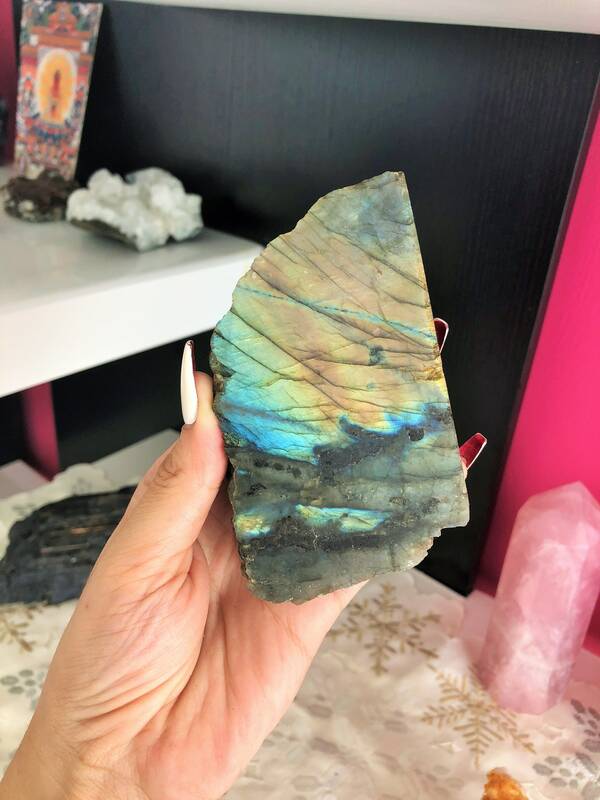 My first ever labradorite stone and I love it!